I started diving ‘officially’ in 1984. My first experience was in Corfu on a beach try dive. A 1 minute ears lecture and then off for a swim. It seemed awfully deep but was probably only 5m. 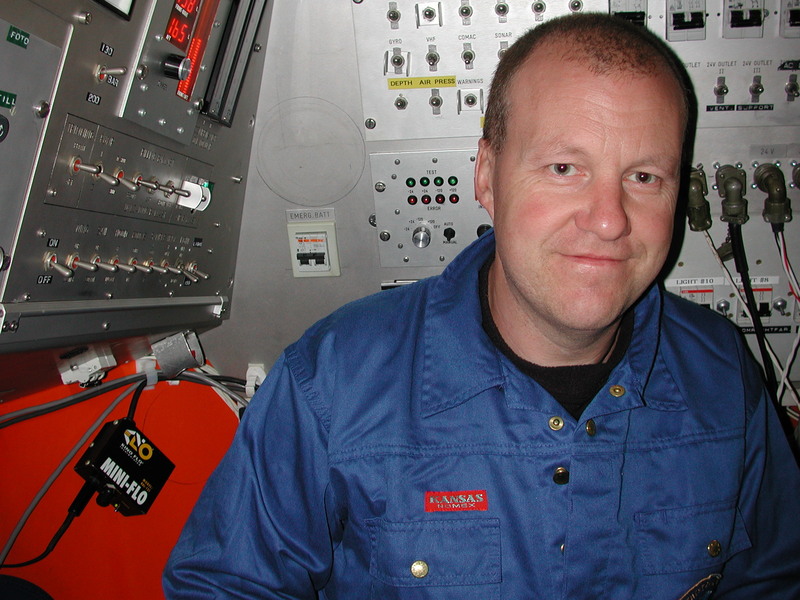 I then trained as a BSAC diver, commercial diver and became interested in mixed gas diving in the early 1990’s. Initially through experimentation and then by seeking training with Tom Mount and IANTD in the USA (I am IANTD Instructor number 6). My company at the time became involved in experimental rebreather design. Initially we took a USN MK15 and modified the electronics. My first rebreather dive was at Fort Bovisand in Plymouth in the bay. My second was to 200m in the then DDRC chambers where we did a lot of our testing, not only on the equipment but experimental helium tables. Since those early days rebreathers have been my passion and not being able to buy them (or trimix computers), I decided to build my own. This is where my company VR Technology came from. I am an electro-mechanical engineer by trade. After the initial personal experimentation phase and my training with IANTD, I joined a local group of divers in Poole with similar interests. We were the first UK group to go trimix diving regularly, exploring the deep wrecks of the English Channel initially. Through those years I also taught hundreds of divers the evolving techniques of extended range and mixed gas diving. Rebreathers, usage and design. Racing Enduro bikes (not underwater). Wreck exploration, especially ancient wrecks and the associated research and archaeology. Video and stills. Understanding the environment and how it can change and affect the safety of what you do. Know your own limits, nudging them forward is OK but do not take giant strides. There is still a lot of product development required, especially with rebreathers and rebreather education and understanding. This is the on-going challenge. Assume all dives are solo dives; do not get into the water if you feel you can’t do it without someone else to rely on. This does not mean you should not dive in a team, you should. Be prepared to be separated and to have to look after your self. Maintaining personal discipline, even after the course is finished, never break the rules you make. Learning not to be confident too soon. Try not to reinvent the wheel, always look to history first. Listen to others but make your own mind up based on testing the information you have gathered, do not blindly follow others. Not being trained properly. Be prepared to pay for quality training. Assuming it won’t happen to you. Not planning dives correctly especially gas reserves. Not planning for the potential risks. If it is a serious project; generate a Standard Operating Procedure. Assess all the risks and logistics and have a plan. Stay fit. Pick a good, responsible and useful team. Everyone should have a skill, other than just diving and they must be team players. Make sure all the equipment is up to the task, either proof from manufacturers or by testing. Assume the worst and have good medical backup. Use trained safety divers. 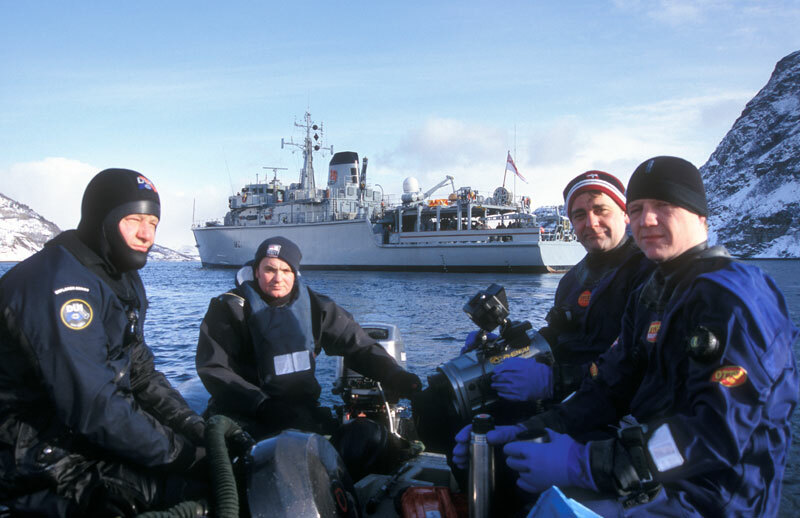 The best has to be my first reconnaissance dive to Britannic in 1997. Alone at 90m on the hull made the years of planning all worth it. Second best (although not strictly a technical dive) was a ride in the MIR submersibles to Titanic with my now deceased friend Carl Spencer. I just test everything. If it works the way I need it to, I use it. I listen to other experienced divers and borrow ideas then test them for myself. Someone who works for the team. Is disciplined and will not change the rules on the fly to the detriment of the team. Someone with a skill other than diving (medic, cameraman etc.). Someone who likes a laugh when it is appropriate. A hard worker, there are no 9-5’s on a project. Someone who can adapt safely to changing situations. I currently run with a Global short list of about 5 people. Get trained properly. Join a team as a safety diver and get experience. When you plan your first big decompression, do a simulation of it first (without the overhead) to check gas usage, equipment failures, cold, dehydration etc.). Always plan properly and do not compromise the plan unless there is no other choice. Have fun and safely gain experience.